D-GS pillar-mounted slewing cranes for loads weighing up to 1,000 kg feature particularly low headroom and compact dimensions. They are the ideal solution wherever maximum hook paths are required for applications with low ceiling dimensions. 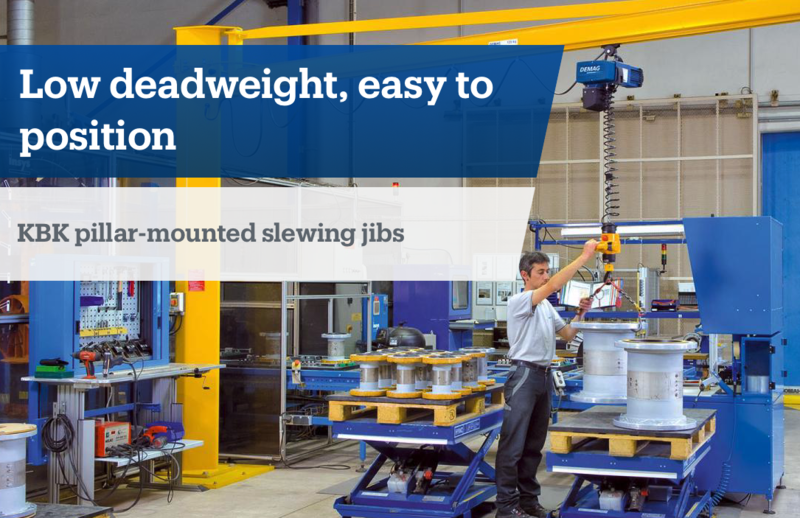 These slewing cranes are the universal solution for the medium load range up to 5,000 kg. The low-headroom jib provides for particularly long hook paths. The cranes can also be powered by an optional electric slewing drive for ease of operation.